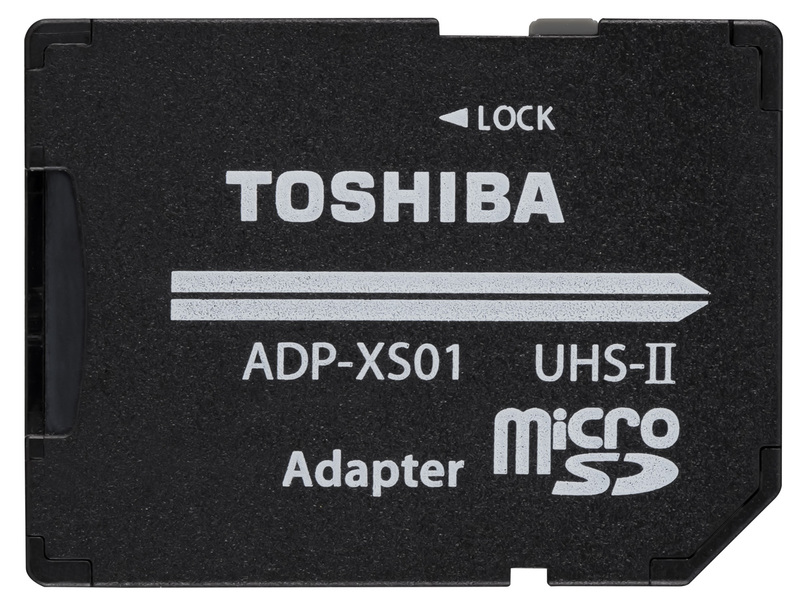 Today we’re looking at a rather quick Micro SD card from Toshiba, the Exceria Pro M501. 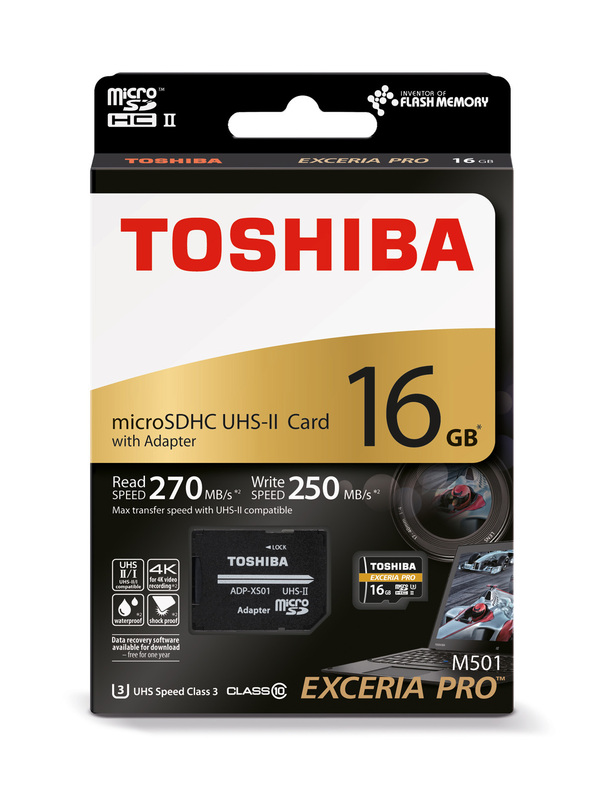 The M501 is a UHS-II card with maximum read and write speeds of around 250 MB/s, making them suitable for high-speed photography and 4K video recording. The card comes in 16, 32 and 64GB versions; we’re looking at the 64GB model. Let’s get started! 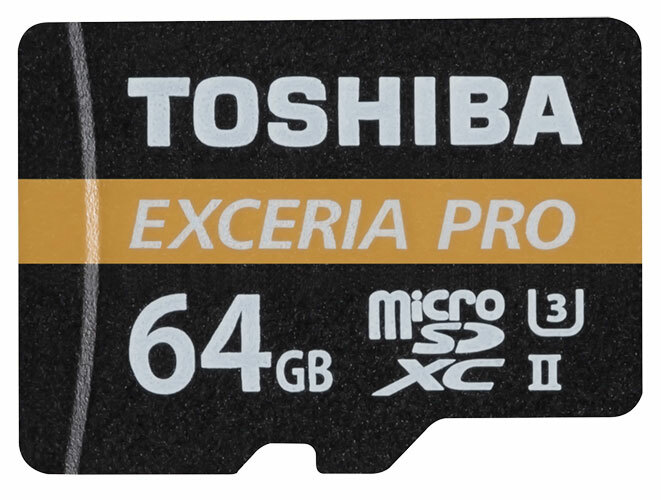 The Toshiba Exceria Pro M501 has a gold stripe to differentiate it, although this isn’t visible when placed inside the full-size SD card adapter (below). The markings indicate it is a MicroSDXC card, with support for the UHS-II interface and meeting the requirements for UHS Speed Class 3 (U3). 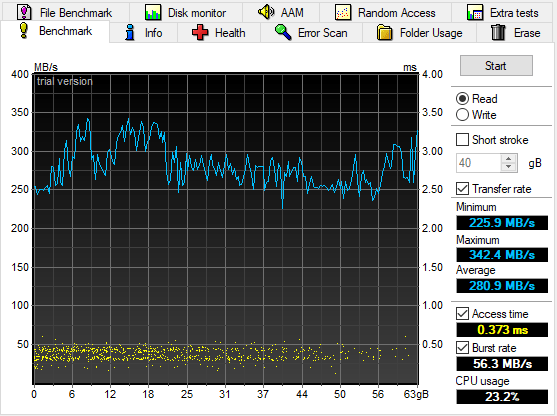 We’ll test this card using a Kingston USB 3.0 Hi-Speed Media Reader, which supports UHS-II cards at full speed. We’ll be comparing the £60 M501 against two other Toshiba cards we have on hand, the Exceria Pro N101 (£140) and the Exceria N301 (£15). We should expect performance in the middle of the two, but how close to the N101 do we get? Let’s find out! We’ll be testing the Exceria N301 in our test rig, which has an overlocked Core i5 6600K processor, 16GB of Crucial DDR4 RAM and a Samsung 960 Evo 1TB NVM-e SSD. It runs Windows 10 Pro. Thanks to NZXT for providing the Manta case and Kraken X61 liquid cooler. Thanks to Zoostorm and Crucial for providing the DDR4 RAM. 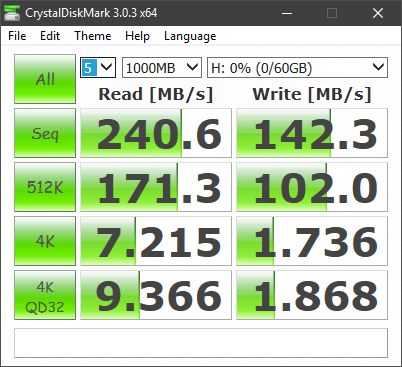 The M501 does very well for its cost, coming close to the N101 with sequential read scores of 241 MB/s. 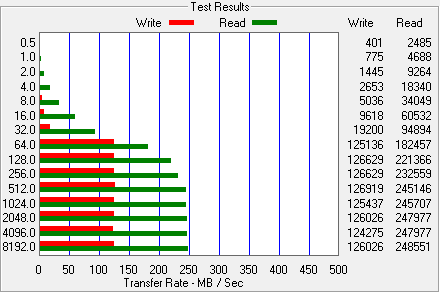 Write speeds are noticeably worse though, at just 142 MB/s compared to 220 MB/s. However, you can still see a massive performance differential between the entry-level N301 card and this bad boy. 4K read and write is less important, as we shouldn’t be writing files of this size anyway, but still shows a performance differential in both directions. The M501 actually records faster times than the N101 in this test, with a read speed of 231 MB/s. However, write speeds are about half that of the N101, at just 112 MB/s. Write access times are also strong, again beating the N101, although sadly the read portion of the test failed with a ‘could not open device’ error despite multiple attempts to fix the problem. The M501 starts strong and turns in a good all-around performance on this comprehensive test. It reaches its maximum write speed of around 125 MB/s by the 64KB block size, while read speeds continued to improve throughout the test, topping out at 249 MB/s. 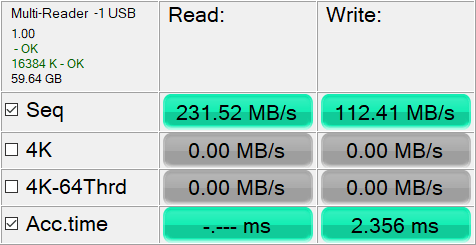 This is a strong result, roughly the same read speed as the N101 and a little over half the write speed. Compared to the other SD cards in the test, the M501 is a noticeably better performer. Read performance on the M501 is extremely good, reaching nearly 350 MB/s in the HD Tune benchmark and settling for a very high average speed of 281 MB/s. This is a bit higher than the card is rated, but seems to be borne out in subsequent testing. Either way, it’s a great result for the card, particularly with low access times and reasonable burst rates as well. All in all, the Toshiba M501 provides excellent performance at its price point, offering similar read performance to the high-end N101 card and about half the write speed — not too bad at all. Combined with its sterling survival credentials, and you’ve got a top notch high-performance Micro SD card that doesn’t cost the earth. Nice review. useful. good job.